The most poignant moment of yesterday’s New England Philharmonic concert at the Tsai Performance Center at Boston University was actually not the orchestra’s: it was the 11-minute video documentary of Gunther Schuller talking about his composing, his busy life, 89 years long, of constant creativity, his loneliness without his wife who died 21 years ago, his total involvement with humanity in his music. Gunther was a comprehensive musician, an internationally renowned composer, conductor, writer, and a first-class vigorous leader of the New England musical scene, and a good friend to all of us ever since he came from New York to lead the New England Conservatory in 1967. It was wonderful, even an honor, to hear him talking so casually and yet intensely to the unseen interviewer, as though we were sitting right next to him in his elegantly-cluttered Newton home among his manuscripts, scores, records, and breakfast dishes. The concert itself was headlined “Stepping Stones of the 20th Century: Celebrating the Life & Music of Gunther Schuller,” and in full keeping with the New England Philharmonic’s commitment to sustaining the life of orchestral works not likely to be heard every day, the program was as vital as it was interesting. A seldom-heard Toccata Concertante by Irving Fine, a Boston Symphony commission from 1947, led off the concert. Director Richard Pittman, whose brief introductory remarks are always astute and informative, explained that the composer’s evident models in this lively piece were Stravinsky’s Symphony in C and Symphony in Three Movements. That was obvious enough, and there were even some ghosts of Tchaikovsky too, but Fine’s own personality was strong and assuring, and his skill impeccable. The performance, however, was somewhat ragged, and the ensemble wasn’t always together; I should guess that other works on the program absorbed the major share of rehearsal time. Webern’s Six Pieces for orchestra, op. 6, which followed, would have needed a lot of rehearsal in any age. (This was the revised version of 1928 for normal-sized orchestra; the original version, premiered in 1913 only a month after Schoenberg’s massive Gurrelieder, called for quadruple woodwinds and sextuple brass as well as outsized strings.) At the end of the first piece there is a five-note descending melody for pianissimo muted trumpet, repeated immediately; Webern liked this idea well enough to use it again at the end of his next work, the Four Pieces for violin and piano, op. 7. The fourth piece of Opus 6, originally entitled “Funeral March,” maintains a slow pianissimo beat of bass drum and deep bells at beginning and end, reaching a crescendo of desperate intensity in the final measures. These pieces are monuments to early atonality, and despite their occasional density and harsh dynamics, they are delicate flowers, short to ultra-short, and totally concentrated; one needs to hear them a dozen times or more to absorb their complex content. I had never heard Shostakovich’s symphonic poem called October, op. 131, before. It is a late work of his, from 1967, and surprisingly strong, very marziale even though mostly in triple meter. Shostakovich always demonstrates skill in development and planning climaxes and inexorabilities, lessons he learned from his long admiration for Mahler, and these show up particularly well in his Fourth and Eighth Symphonies, as well as the first movement of the beloved Fifth. There was much of the same ambience in October, with brilliant orchestration, including fast strings as well as heartening piccolo shrieks; there was supposed to be a quote from a well-known patriotic hymn, too, but what I heard were folksong-like melodies rather like Tchaikovsky’s Second Symphony. After the intermission came Ravel’s beloved Shéhérazade, with Sarah Pelletier singing, and her sound was as delicious as it was strong. (Someone said that she had to take a fast taxi to the Tsai directly from the Boston Ballet, where she had just sung Mahler’s Third Symphony.) Richard Pittman spoke of his particular admiration for the rich orchestral sound of two great song cycles: Shéhérazade and Berg’s Altenberg Lieder. I certainly endorse this estimate (I wrote my dissertation on the Altenberg Lieder, as I have mentioned in these pages), but I’d also note that the Altenberg Lieder represent Alban Berg’s first-ever attempt at writing for orchestra, and Shéhérazade was also Ravel’s first orchestral effort, if one overlooks the ouverture de féerie of the same title that he set aside and never published. It’s hard to realize that Ravel was still a 28-year-old Conservatoire student when he wrote this great work. One problem with Shéhérazade, if it really is a problem, is that the first song, “Asie,” is twice as long and twice as massive as the two remaining songs combined. My only complaint, a small one, about this lovely performance was that the English horn was too loud in “Asie” (the score marks it expressif but p). 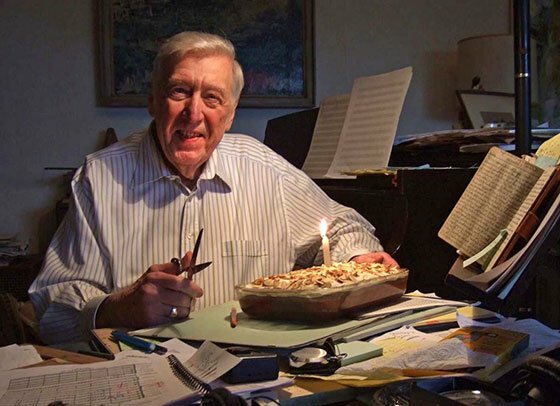 The musical tribute to Gunther Schuller concluded the program: his The Past is in the Present in four short movements, composed in 1994 as an apparent requiem to his wife Marjorie. This performance was a Boston premiere, and it served as a requiem for the composer himself as well. It began with a series of quiet chromatic chords in divided strings accentuated by harp, and penetrated here and there by high, difficult but lovely notes for soft solo horn (Gunther’s own instrument); the fourth movement ended in much the same way, with complex harmonies in the strings through which a faintly triadic framework could be discerned. This beautiful piece needs to be heard again here, and then more often. Gunther is no longer with us, but The Past is in the Present, quiet and meditative, shows us his strength which will endure in memory. One wished that the audience at the Tsai could have more than half filled the hall. The overall performance, expertly led by Richard Pittman, was a good reminder that the New England Philharmonic, though only partly a professional orchestra, with a complement of unpaid, nonprofessional players who maintain a standard of musicianship and technique on a par with the best, achieves marvels with a low budget. Richard Pittman is not only a fine conductor, but an able spokesman for music that needs to be heard and preserved. Congratulations to him and to his fine ensemble for an excellent concert. A fine review (what else would one expect?). My only addition would be that the symphonic qualities of the orchestration in ALL the pieces was sublime, a perhaps rare case when all the pieces in a program that included five were ravishingly beautiful. If the performance of the Fine was ragged, it went over my head; all I heard was captivating lush sounds and rhythm. It must have been a big influence on Leonard Bernstein, who, as it happens, was around the BSO around the same time as this commission… As for the movie, I had seen it before, though I cannot remember where; and it was as moving on Sunday. But then, I am exremely fortunate to have been in those rooms, listening to Gunther, so it was poignant indeed.